I wasn’t always a John O’ fan girl and I definitely didn’t follow them in high school when they traveled around through endless warped tour lineups throughout the years. I became a Maine #FanGirl recently within the past three years. Maybe this doesn’t make me a true and committed fan girl, but I almost feel like my music palette wasn’t mature enough for The Maine in my teen years. I feel as though the woman I am now really appreciates the sad melodies of Forever Halloween, the hopeful pursuits of Pioneer and the passionate yelps of American Candy. 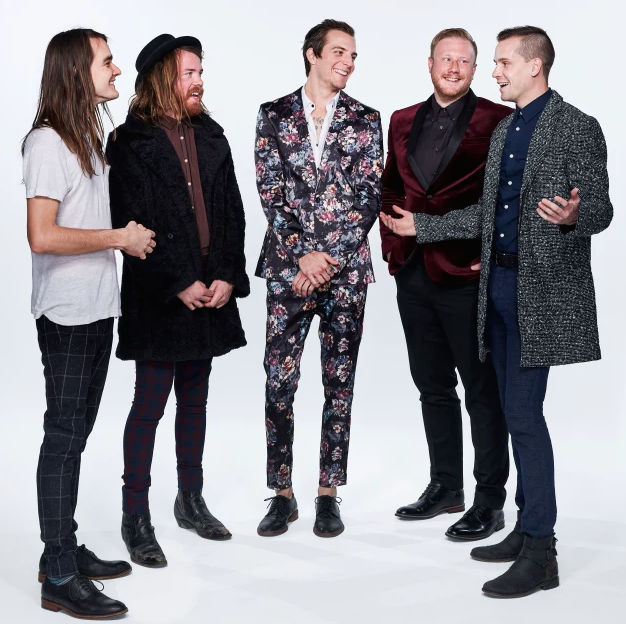 I’m glad that my internal music library matured enough to fall madly in love with the beauty that is The Maine. I’m very excited to hear that my favorite group of guys are releasing their next album, Lovely, Little, Lonely on April 7 this year! That’s so close, but yet so far away. We were given a taste of the new album, with singles “Bad Behavior” which gives off an American Candy vibe with their upbeat pop sound, but almost takes us back to Can’t Stop, Won’t Stop days with singing songs about girls and lustrous feelings. They’ve also graced us with “Black Butterflies & Déjà vu” and my heart has fallen out of my body and is currently withering away. This track is SO Forever Halloween, that it literally hurts my body. I’m crossing all of my fingers and toes that the rest of the album shares the "Black Butterflies & Déjà vu" vibe as well, because I feel like it would absolutely give me a reason to drive down to miss my graduation ceremony in May and drive up to Chicago and see them! The boys keep teasing us with tour dates, album artwork, sound bites and even THE OFFICIAL LOVELY, LITTLE, LONELY TRACK LIST… Who does that? I am going crazy over here and feel like I can’t check Instagram quickly enough for the next update! The Lovely, Little, Lonely tour kicked off on March 20 in their home state, Arizona and is running on into the early summer months. Unfortunately, the group won’t be making a stop anywhere near Cincinnati. If you’re up for a drive, however, they will be making a pit stop at the windy city on May 6 at the House of Blues. For more information on tour dates and cities, I would encourage you to head over to their website to peep the full list. If you’re just biting your nails down to the core, like I am, I would also push you to follow all the boys on Instagram to catch up with all of the updates they are throwing our way on a daily basis.